Fishpond knows, some fly fishermen tie their own flies. And, some fly fishermen like to take their fly tying tools and materials with them, on fishing trips. Only Fishpond could design something to take your fly tying stuff with you, and be organized. We mean really organized! The Tomahawk Fly Tying Kit Bag is large and has a high capacity for those long fly fishing vacations where you want to take about everything you own, just in case. Then, there is a smaller design, called the “Road Trip”. We put these two items in one category on this website, so you could find them. Take a closer look by clicking on the items below. 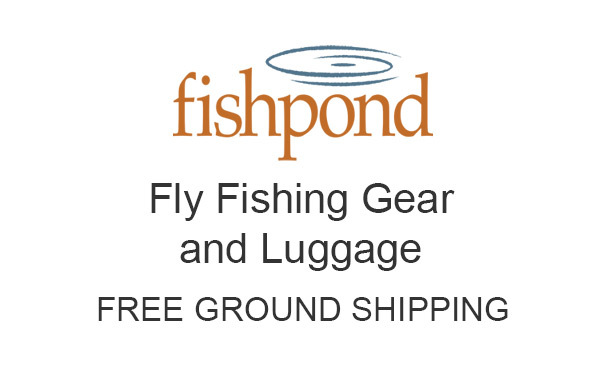 ALL Fishpond Fly Tying Kits Bags shown in this category are current and part of Fishpond’s 2018 collection.